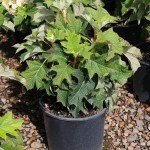 A new dwarf introduction from the U.S. National Arboretum. 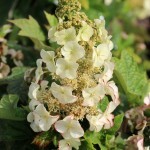 It has numerous white upright flowers in the summer that age to pink. The dark green leaves turn mahogany-red in the fall. 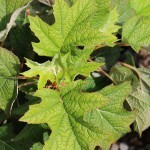 It prefers some shade, and a moist, well-drained soil. 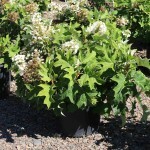 It is great in smaller residential landscapes or mass plantings.